The traditional murder mystery collides with an entirely different kind of detective hero in the new mystery novel Sunny Side Up. 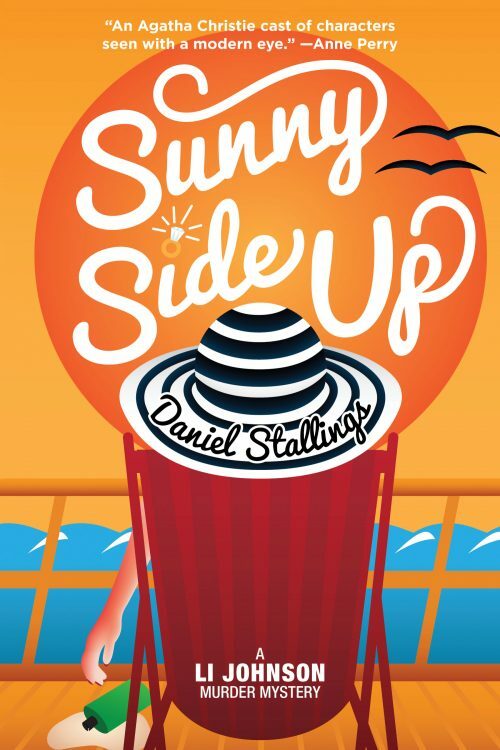 An engaging mixture of Agatha Christie–style intrigue and Millennial snark, Sunny Side Up takes a fresh approach to the traditional murder mystery with a modern sensibility and a working class amateur sleuth. For 20-year-old Liam "Li" Johnson, a job as a cruise ship waiter was supposed to be a way to get over his father’s death and earn enough money to go back to college. Instead, Li is struggling to maintain his sanity while coping with the demands of a sadistic maître d’ and a boatload of entitled rich jerk passengers. Li just wants to keep his head down and survive his job from hell, but when he finds a passenger sunburned to a crisp on the Sunbathing Deck, something about the scene just doesn’t add up. Li starts asking uncomfortable questions … and gets some forceful pushback, including a whispering campaign suggesting that Li himself may have had something to do with the victim’s death. Before he knows it, Li is on the track of a murder … and if Li doesn’t find the real killer soon, or he might just get framed for the crime — or worse, lose his crappy job. Audience: Lovers of traditional murder mysteries. About the Author: Daniel Stallings’ love of Golden Age detective fiction inspired him to bring the style of the classic murder mystery to modern audiences. In addition to writing mysteries, Stallings works in theater as a producer, director, and actor. He currently serves as President of the Eastern Sierra Branch of the California Writers Club. Stallings lives in the city of Ridgecrest in California’s Mojave Desert.